Classic Street Rod MFG – Superior Quality Hot Rods Parts! Superior Quality Hot Rods Parts! 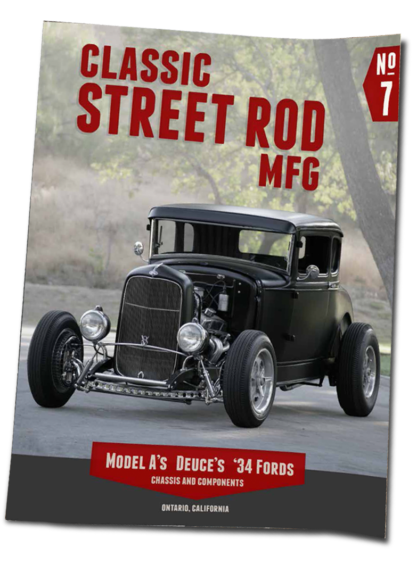 Welcome to Classic Street Rod MFG. Classic Street Rod Mfg. first opened its doors in 1999. Located in Ontario, California, this is where we began as Model ‘A’ frame specialist. Today we have expanded our product line from 1928 to 1934 frame chassis and Hot Rod parts to help you complete your projects. Our Mission is to provide excellent customer service and 100% satisfaction. Our goals are to one, build products with top quality craftsmanship and two, provide a product that everyone can afford. Now you can have superior quality at an affordable price. We work hard every day to meet these goals. We anxiously await the opportunity to assist yo with your needs for your next 1928 – 1934 chassis project. For those who still prefer the feel of paper, our 2018 catalog is now available! Send us your request and we'll ship it out with your online purchase. 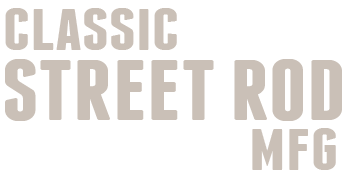 Our Mission is to provide excellent customer service and 100% satisfaction. Our goals are to one, build products with top quality craftsmanship and two, provide a product that everyone can afford. Now you can have superior quality at an affordable price. We work hard every day to meet these goals.